A woman in Detroit called Katie Stricker Curtis recently went into the hospital to have her baby, and to celebrate the painful occasion, she did something awesome. 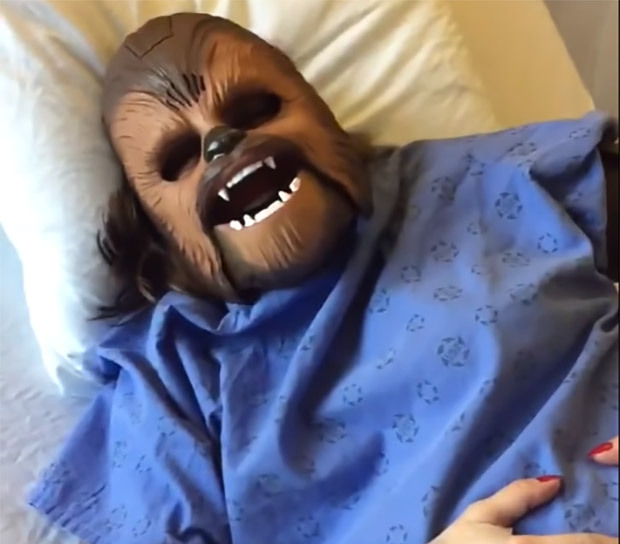 She wore an electronic Chewbacca mask during labor. Of course, the mask made Chewie sounds that turned all of her labor pains into Wookiee screams. She sounds like a pretty cool woman. My wife was definitely not down for any funny stuff when she was in labor. Katie uploaded the video after she gave birth to a healthy baby boy if you are wondering. I’m sort of leaning towards the ideathat she didn’t want anyone to see her without her makeup, and that’s why she wore the mask.